These experts are in the flavor business, check their credentials because they don't lie! The fast-casual chicken wing chain, which has been called a cross between Chipotle and Buffalo Wild Wings. What began as a small buffalo-style chicken wing restaurant in Garland, Texas, continues to soar to great heights. Today there are more than 800 restaurants open across the United States, Mexico, Russia, Singapore, the Philippines, Indonesia, and the United Arab Emirates.For 21 years, the brand has focused on one niche guilty-pleasure food, and perfected it. According to Wing Stop's website " We’re not in the wing business. We’re in the flavor business. It’s been our mission to serve the world flavor since we first opened shop in ’94, and we’re just getting started. 1997 saw the opening of our first franchised Wingstop Inc. location, and by 2002 we had served the world one billion wings. It’s flavor that defines us and has made Wingstop Inc. one of the fastest growing brands in the restaurant industry. Wingstop Inc. is the destination when you crave fresh never faked wings, hand-cut seasoned fries and any of our famous sides. 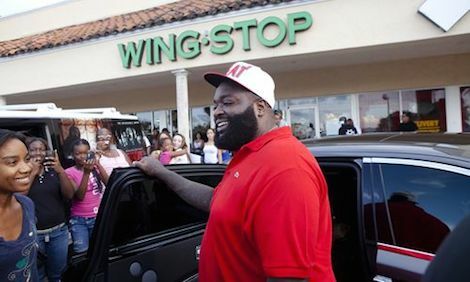 For people who demand flavor in everything they do, there’s only Wingstop Inc. – because it’s more than a meal, it’s a flavor experience."